The functionally furnished holiday apartment with two bedrooms and spacious terrace is located on the first floor of a family house, in the small coastal town of Jadrija. The functionally furnished holiday apartment with two bedrooms and spacious terrace is located on the first floor of a family house, in the small coastal town of Jadrija. Here you can enjoy the peaceful surroundings and the bird`s twittering on natural beaches. In the town itself, there are numerous beaches that invite body and soul to relax. As Jadrija is located between the towns Vodice and Šibenik, the location is ideal for day trips to that nearby places, which offer numerous leisure opportunities for memorable experiences during your Mediterranean holiday. This apartment is made from brick or stone and was originally built in 1993 and refurbished in 2017. The agent has rated it as a three star property so it is a well-kept apartment, equipped with standard furniture. It is also good value for money. 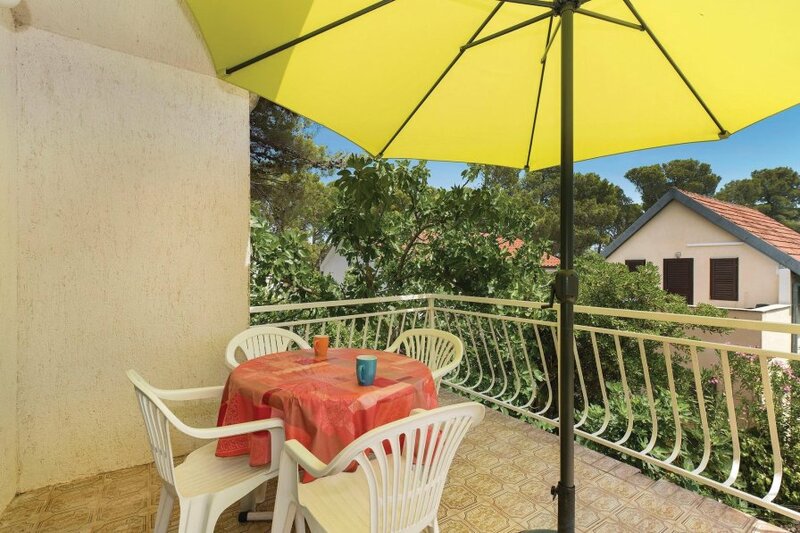 This apartment has restricted sea view and is located in Jadrija, only 12km from Sibenik. It is set in a very convenient location, just 50 metres away from a stone and pebble beach. There's also a restaurant only 50 metres away.